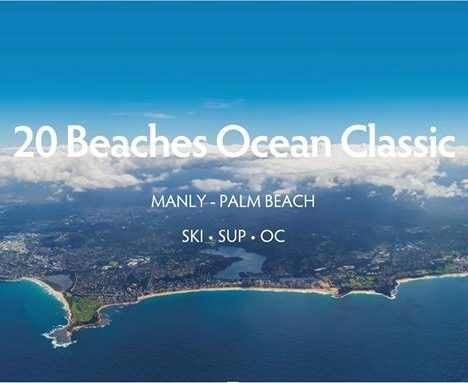 The 20 Beaches Ocean Classic is back! The iconic ocean paddling race is returning to Sydney’s Northern Beaches as part of the Australian Ocean Racing Calendar. This year’s event will shine a light on ocean plastic pollution, encouraging participants and spectators to give back to the environment with the help of Take 3. Take 3 are excited to announce our Charity Partnership with the 20 Beaches Classic. Entrants are encouraged to donate upon registration to help support the Take 3 vision for clean oceans. Just $3 educates one student through Take 3’s Education Programs in schools and communities. Take 3 are proud to be solving the global plastic pollution crisis through education and participation and are thrilled to have the support of 20 Beaches and the ocean racing community. Mark Saturday 15th December 2018 in your diaries and dive into your training program as this year’s event is not to be missed. The prize money stands at a handsome $10,000 for the fastest male and $10,000 for the fastest female. Next PostMeet Andy: Mechanical Fitter. Board Shaper. Ocean Lover.